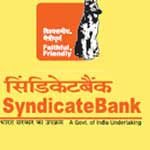 Syndicate Bank Recruitment 2018 – 500 Probationary Officer Posts :- Syndicate Bank has published latest notification for filling up 500 posts of Probationary Officer in Junior Management Grade / Scale-I through One year Post Graduate Diploma in Banking and Finance Course in Manipal Global Education Services Pvt Ltd.. Desirous & eligible candidates can apply online from 02/01/2018 to 17/01/2018. Age Limit: 20 to 28 years as on 01/10/2017. Educational Qualification:Degree (Graduation) with minimum 60% (55% for SC/ST/PWD) marks in any discipline from a recognized University OR any equivalent qualific atio n recognized as such by Central Government. Starting Date of Online Application :02/01/2018. Last Date of Online Application : 17/01/2018. Application Procedure: Eligible candidates can apply online through the website http://www.syndicatebank.in form 02/01/2018 to 17/01/2018. Syndicate Bank, Jaipur has published latest notification for filling up 113 posts of Temporary Attenders & Temporary Part Time Sweepers. Desirous & eligible candidates can apply in prescribed application format on or before 05/05/2017. Age Limit: 18 to 26 years as on 01/04/2017. For Post No 01 : A pass in 10th Standard and Candidates should not have passed intermediate or 12th or 10+ 2 Examination. For Post No 02 : A pass in 5th Standard and Candidates should not have passed intermediate or 12th or 10+ 2 Examination. Last Date of Application: 05/05/2017. Application Procedure: Eligible candidates can send their application in prescribed format along with all relevant documents to The Deputy General Manager, Syndicate Bank, Regional Office Jaipur DL Tower, 3-A, Vidyashram Inst.Area J L N Marg, Jaipur-302015 on or before on or before 05/05/2017. Subscribe our free job alert mail for Syndicate Bank Recruitment 2018.